Spray Marks’ traffic management division has been diverting traffic since July 2003 and has grown to become one of the leading traffic control operators in our field. You can trust us to handle traffic. We know Christchurch roads because we’ve been working on them for years. The goal of every traffic management job is to keep the public safe while allowing you, the customer, to get your job done. Our purpose is to share our expertise to achieve both. Providing traffic management services to diverse customers such as event managers, film makers, construction and roading contractors means we know a whole lot about the best, safest and most cost effective way to handle traffic control, especially around the Garden City. And we’ll give you honest advice. Spray Marks’ traffic management Christchurch home base is in Hornby but we also have equipment, vehicles and staff based in Ashburton. 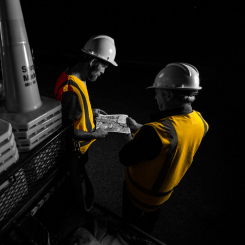 Our central South Island location means we provide traffic control and rental of related equipment to customers from Nelson to the West Coast and Dunedin. 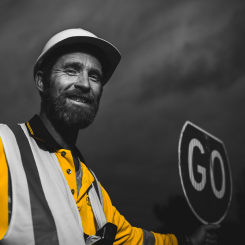 Traffic Management in New Zealand is governed by COPPTM, and as specialists in its theory and practice, we also have a place on the NZTA Traffic Committee. Because we’re involved in the most up to date changes in the rules, you can rest assured you’re in safe hands and that your project complies with the latest regulations. NEED TRAFFIC MANAGEMENT (CHRISTCHURCH/ South Island)? If you have any traffic project, contact us and one of our team will get back to you. Signs and cone hire, traffic control staff & equipment, electronic equipment hire, traffic plans, training. Our gallery showcases our recent work. 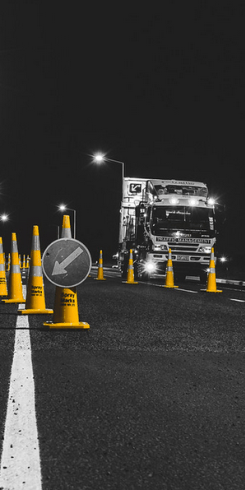 If you’re working somewhere that requires any kind of traffic management (Christchurch- or South Island-based), we can help. As well as drawing up a plan for approval and supplying you with qualified staff and vehicles, we also provide a range of related equipment you can hire yourself. We have signs, cones, electronic traffic lights and variable message boards. You can come and pick them up or our traffic control team can deliver and/or set up for you. You decide and we’ll make it happen. As a contractor, you may have your own staff you would like qualified to control traffic. We can help. Our certified instructors run regular STMS and TC courses in our training rooms. We can also arrange to come to your workplace if that’s easier for you. Give us a call to discuss.